The Ambrose Alli University was established by Professor Ambrose Folorunsho Alli. 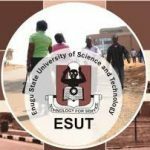 It was established by the then governor of Edo state as at when the university was established in the year 1981. All interested applicant must possess a minimum of five (5) credit passes in their O’level subject combinations which should be obtained in any of the following SSCE examination; WAEC, NABTEB, GCE, NECO, or any of it acceptable equivalent. All credit passes which must include English Language and Mathematics must be obtained at a maximum of two sittings only. 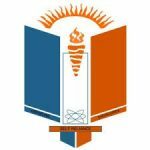 All interested applicant must have registered for the JAMB UTME examination and choose the Ambrose Alli University as their first choice of institution. They must have also sat for the examination and scored nothing less than One hundred and seventy five (175) to qualify for the Ambrose Alli University Ekpoma admission screening test. 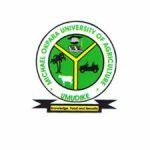 All applicants who have meet the requirements and are still interested in applying for admission into the Ambrose Alli University Ekpoma should follow the steps below. Navigate through the page and click on the Undergraduate Portal link. Log into the portal using your JAMB UTME registration number, and your password (default password is usually your surname). On this page, generate your payment invoice which should contain your name, and other details. On this payment invoice, your Remita Retrieval Reference (RRR) Number would also be included. Take this slip to any of the approved banks and make payment. Collect your payment receipt which includes a confirmation pin. You can also make payment online using your debit card details. After successful payment, return to your portal and log in again. The online application form would now be displayed after you have input your confirmation pin. Fill the application form appropriately and make sure all details are correct and valid. Input the details of your O’level result and scan the hard copy for uploading on the website. Upload your recent passport photograph which must not be more than the normal sized passport photograph. Proof read your online application form and hit the submit button. Print out your acknowledgement slip and the application form for reference purpose. The JAMB UTME official cut off mark for the Ambrose Alli University is One hundred and seventy five only (175). This does not guarantee your admission, it only qualifies you for the Ambrose Alli University screening test. 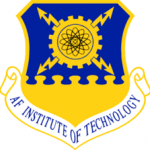 The cut off mark set by the Ambrose Alli University themselves for candidates to score in their screening test ranges from 40 – 65. Candidate are advised to score far above this cut off because those who score higher would be considered for admission first. 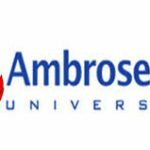 Now that you have known what it takes to gain admission into the Ambrose Alli University Ekpoma, if you truly meet this requirements, all that is left for you is to gather the various fees which include acceptance fee, school fee, faculty charges, departmental fees, development levy, course registration fee among others, and get ready for school.